This cable features a straight line connector with 3.5mm. 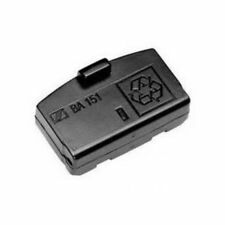 - Suitable for HD 25, HD 25-1, HD 25-1 II and HD 25-13. Sennheiser GA2 Rack Mount Connecting Bar - inc screws & blanks. Genuine Sennheiser GA2 Rack Mount Connecting Bar. Item number: 089523 The condition is new. Complete with 2 x screws and 2 x hole blanks (as fitted in photos). Dispatched with Royal Mail 2nd Class. List price on Sennheiser UK spares website = £8.39 (and that's without the fixings). Sennheiser HD25 Ear Pads X 2 Sets And One Individual. 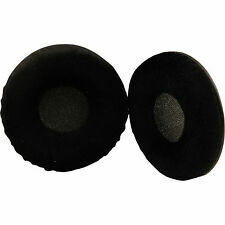 Sennheiser HD25 Leatherette Ear pads. Compatible Models Sennheiser HD25 headphones - any version. Genuine Sennheiser spare parts. 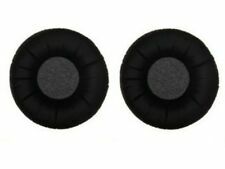 Standard original earpads for the HD25s (any version). Why people choose Bop DJ. 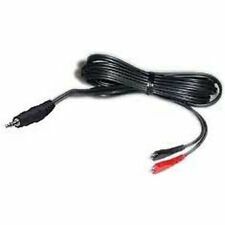 This spare part is the connecting cable for the Sennheiser Amperior headphones and fits through the split headband. 9am-6pm, Mon-Sat. DVDs, films & TV. 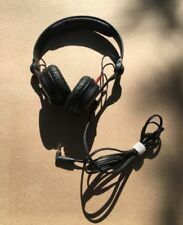 Original Sennheiser accessory. Works with the following Sennheiser headphones: HD 215, HD 280 PRO, HD 280 Silver, HD 280 - 13, HD 25 II, HD 25 SP II, HD 25 Aluminium, HD 26 PRO, HD 429, HD 439, HD 449. 2 X Sennheiser Microphone Holder Clips. Dispatched with Royal Mail 2nd Class. 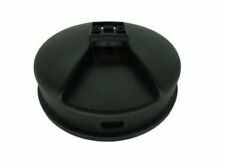 Sennheiser MD441-U Vintage Microphone Clip. This cable is officially approved by Sennheiser. 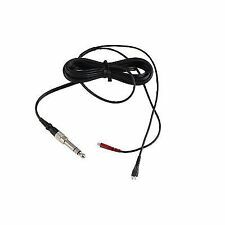 Steel cable with 3.5mm straight mini-jack and PX 2 adapter. Cable made from soft, durable material. 9am-6pm, Mon-Sat. 1/4" 6.35mm Genuine Neutrik Plug. -Oxygen Free Copper Core. -Superb Transfer Quality. 3.5mm screw-on plug. Cable made from soft, durable material. Length (cm) 200. 9am-6pm, Mon-Sat. 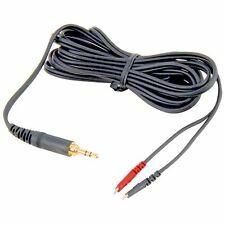 Custom spare cable with 2.5mm to 3.5mm connection. Officially supported by Sennheiser for use with the HD200 headphones. For HD200 headphones. Also fits Sennheiser HD200/HD210/HD270/HD490/HD495/HD500/HD570/HD590/HD575/eH2200/eH2270. Spare cable that is 3.5m in length with gold plated custom 3.5 mm jack that serves the HD 25, 25-1 and 25-II headphones from Sennheiser. For HD25/HD25 1/HD25 II headphones. 9am-6pm, Mon-Sat. DVDs, films & TV. Copper cable with 3.5mm straight gold-plated mini-jack. 3.5mm straight gold-plated mini-jack. 9am-6pm, Mon-Sat. DVDs, films & TV. 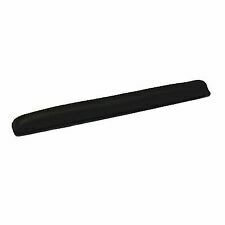 Spare padding for HD25 headband from Sennheiser. It should be noted that two are required as the headband on this model is split. 9am-6pm, Mon-Sat. DVDs, films & TV. A universal headband that is officially approved by Sennheiser and fits all models in the HD25 range. Fits all Sennheiser HD25 models. 9am-6pm, Mon-Sat. DVDs, films & TV. "Made using high quality Polycarbonate, Decksaver covers are tough to crack! Smoked/Clear professional CD deck dust cover fits Pioneer CDJ850". Sennheiser SZI 1060 IR Radiator IR Strahler - Schmutz/Kratzer/Mängel. Marke Sennheiser. Produktart IR Strahler. EAN Nicht zutreffend. Sennheiser SZI 1060 IR Radiator IR Strahler #2 - Schmutz/Kratzer/Mängel. Marke Sennheiser. Produktart IR Strahler.